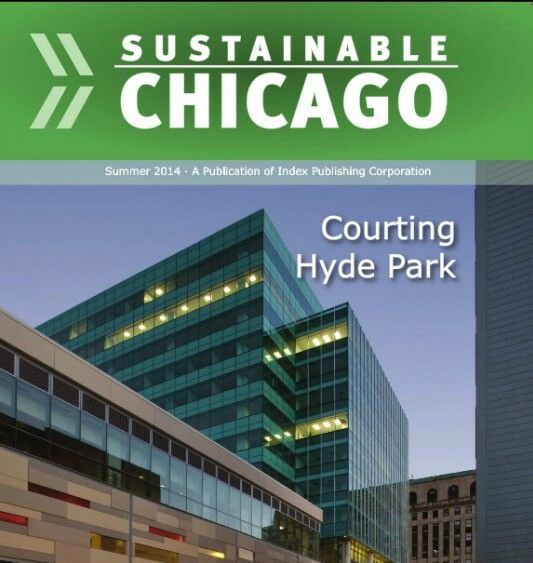 In the Summer 2014 issue of Sustainable Chicago magazine, editor Matt Baker profiles Harper Court in a cover story about the sustainable features at the sustainable development. The components of the mixed-use project are individually LEED certified — the base building is LEED CS Gold, the office tower’s interior spaces are LEED CI Platinum, and the Hyatt Place Hotel is targeting LEED-NC Silver — while the project overall is LEED Gold – Neighborhood Development. To view the full article, here.